If you fall into a black hole, you’ll die. That much is pretty sure. But what happens before that? The gravitational pull of a black hole depends on its mass. At a fixed distance from the center, it isn’t any stronger or weaker than that of a star with the same mass. The difference is that, since a black hole doesn’t have a surface, the gravitational pull can continue to increase as you approach the center. The gravitational pull itself isn’t the problem, the problem is the change in the pull, the tidal force. It will stretch any extended object in a process with technical name “spaghettification.” That’s what will eventually kill you. Whether this happens before or after you cross the horizon depends, again, on the mass of the black hole. The larger the mass, the smaller the space-time curvature at the horizon, and the smaller the tidal force. Leaving aside lots of hot gas and swirling particles, you have good chances to survive crossing the horizon of a supermassive black hole, like that in the center of our galaxy. You would, however, probably be torn apart before crossing the horizon of a solar-mass black hole. It takes you a finite time to reach the horizon of a black hole. For an outside observer however, you seem to be moving slower and slower and will never quite reach the black hole, due to the (technically infinitely large) gravitational redshift. If you take into account that black holes evaporate, it doesn’t quite take forever, and your friends will eventually see you vanishing. It might just take a few hundred billion years. No, it isn’t. The two observers have different descriptions of the process of falling into a black hole because they both use different time coordinates. There is no contradiction between the conclusions they draw. The outside observer’s story is an infinitely stretched version of the infalling observer’s story, covering only the part before horizon crossing. Nobody contests this. I suspect this confusion was caused by the idea of black hole complementarity. Which is indeed a highly contest area of current physics research. 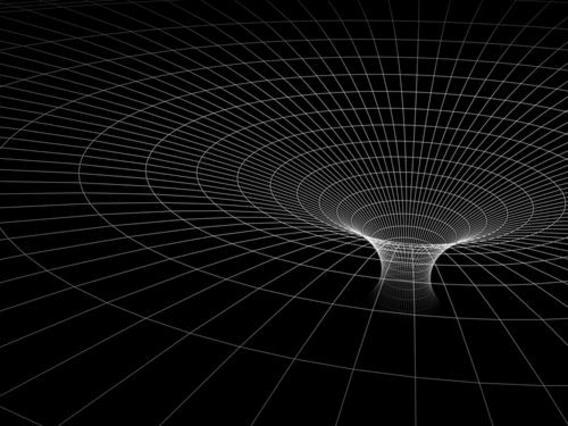 According to black hole complementarity the information that falls into a black hole both goes in and comes out. This is in contradiction with quantum mechanics which forbids making exact copies of a state. The idea of black hole complementarity is that nobody can ever make a measurement to document the forbidden copying and hence, it isn’t a real inconsistency. Making such measurements is typically impossible because the infalling observer only has a limited amount of time before hitting the singularity. Black hole complementarity is actually a pretty philosophical idea. Now, the black hole firewall issue points out that black hole complementarity is inconsistent. Even if you can’t measure that a copy has been made, pushing the infalling information in the outgoing radiation changes the vacuum state in the horizon vicinity to a state which is no longer empty: that’s the firewall. Be that as it may, even in black hole complementarity the infalling observer still falls in, and crosses the horizon at a finite time. The real question that drives much current research is how the information comes out of the black hole before it has completely evaporated. It’s a topic which has been discussed for more than 40 years now, and there is little sign that theorists will agree on a solution. And why would they? Leaving aside fluid analogies, there is no experimental evidence for what happens with black hole information, and there is hence no reason for theorists to converge on any one option. The theory assessment in this research area is purely non-empirical, to use an expression by philosopher Richard Dawid. It’s why I think if we ever want to see progress on the foundations of physics we have to think very carefully about the non-empirical criteria that we use. Anyway, the lesson here is: Everyday Einstein’s Quick and Dirty Tips is not a recommended travel guide for black holes. Tl;dr: A new paper shows that one of the most popular types of dark matter – the axion – could make wormholes possible if strong electromagnetic fields, like those found around supermassive black holes, are present. Unclear remains how such wormholes would be formed and whether they would be stable. Wouldn’t you sometimes like to vanish into a hole and crawl out in another galaxy? It might not be as impossible as it seems. General relativity has long been known to allow for “wormholes” that are short connections between seemingly very distant places. Unfortunately, these wormholes are unstable and cannot be traversed unless filled by “exotic matter,” which must have negative energy density to keep the hole from closing. And no matter that we have ever seen has this property. The universe, however, contains a lot of matter that we have never seen, which might give you hope. We observe this “dark matter” only through its gravitational pull, but this is enough to tell that it behaves pretty much like regular matter. Dark matter too is thus not exotic enough to help with stabilizing wormholes. Or so we thought. Axions are one of the most popular candidates for dark matter. The particles themselves are very light, but they form a condensate in the early universe that should still be around today, giving rise to the observed dark matter distribution. Like all other dark matter candidates, axions have been searched for but so far not been detected. In his paper, Dimopoulos points out that, due to their peculiar coupling to electromagnetic fields, axions can acquire an apparent mass which makes a negative contribution to their energy. This effect isn’t so unusual – it is similar to the way that fermions obtain masses by coupling to the Higgs or that scalar fields can obtain effective masses by coupling to electromagnetic fields. In other words, it’s not totally unheard of. Dimopoulos then estimates how strong an electromagnetic field is necessary to turn axions into exotic matter and finds that around supermassive black holes the conditions would just be right. Hence, he concludes, axionic dark matter might keep wormholes open and traversable. In his present work, Dimopoulos has however not done a fully relativistic computation. He considers the axions in the background of the black hole, but not the coupled solution of axions plus black hole. The analysis so far also does not check whether the wormhole would indeed be stable, or if it would instead blow off the matter that is supposed to stabilize it. And finally, it leaves open the question how the wormhole would form. It is one thing to discuss configurations that are mathematically possible, but it’s another thing entirely to demonstrate that they can actually come into being in our universe. So it’s an interesting idea, but it will take a little more to convince me that this is possible. And in case you warmed up to the idea of getting out of this galaxy, let me remind you that the closest supermassive black hole is still 26,000 light years away. Note added: As mentioned by a commenter (see below) the argument in the paper might be incorrect. I asked the author for comment, but no reply so far. Another note: The author says he has revised and replaced the paper, and that the conclusions are not affected. If you leave the city limits of Established Knowledge and pass the Fields of Extrapolation, you enter the Forest of Speculations. As you get deeper into the forest, larger and larger trees impinge on the road, strangely deformed, knotted onto themselves, bent over backwards. They eventually grow so close that they block out the sunlight. It must be somewhere here, just before you cross over from speculation to insanity, that Gia Dvali looks for new ideas and drags them into the sunlight. Dvali’s newest idea is that every black hole is a quantum computer. And not just any quantum computer, but a quantum computer made of a Bose-Einstein condensate that self-tunes to the quantum critical point. In one sweep, he has combined everything that is cool in physics at the moment. 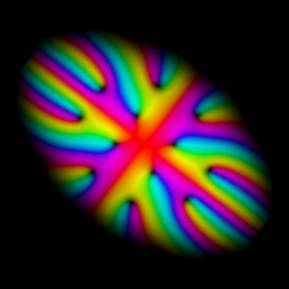 This link between black holes and Bose-Einstein condensates is based on simple premises. Dvali set out to find some stuff that would share properties with black holes, notably the relation between entropy and mass (BH entropy), the decrease in entropy during evaporation (Page time), and the ability to scramble information quickly (scrambling time). What he found was that certain condensates do exactly this. Consequently he went and conjectured that this is more than a coincidence, and that black holes themselves are condensates – condensates of gravitons, whose quantum criticality allows the fast scrambling. The gravitons equip black holes with quantum hair on horizon scale, and hence provide a solution to the black hole information loss problem by first storing information and then slowly leaking it out. 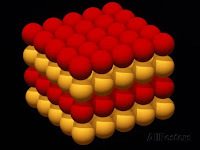 Bose-Einstein condensates on the other hand contain long-range quantum effects that make them good candidates for quantum computers. The individual q-bits that have been proposed for use in these condensates are normally correlated atoms trapped in optical lattices. Based on his analogy with black holes however, Dvali suggests to use a different type of state for information storage, which would optimize the storage capacity. I had the opportunity to speak with Immanuel Bloch from the Max Planck Institute for Quantum Optics about Dvali’s idea, and I learned that while it seems possible to create a self-tuned condensate to mimic the black hole, addressing the states that Dvali has identified is difficult and, at least presently, not practical. You can read more about this in my recent Aeon essay. 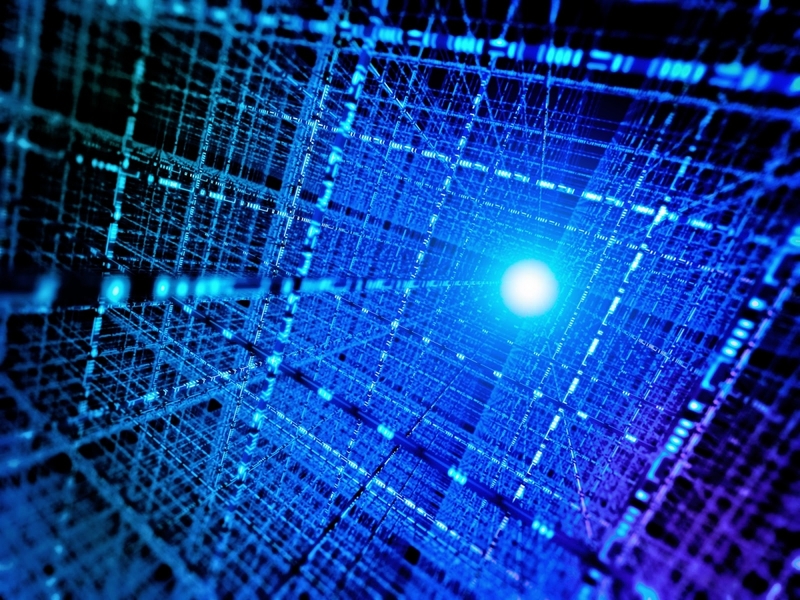 But really, you may ask, what isn’t a quantum computer? Doesn’t anything that changes in time according to the equations of quantum mechanics process information and compute something? Doesn’t every piece of chalk execute the laws of nature and evaluate its own fate, doing a computation that somehow implies something with quantum? That’s right. But when physicists speak of quantum computers, they mean a particularly powerful collection of entangled states, assemblies that allow to hold and manipulate much more information than a largely classical state. It’s this property of quantum computers specifically that Dvali claims black holes must also possess. The chalk just won’t do. If it is correct what Dvali says, a real black hole out there in space doesn’t compute anything in particular. It merely stores the information of what fell in and spits it back out again. But a better understanding of how to initialize a state might allow us one day – give it some hundred years – to make use of nature’s ability to distribute information enormously quickly. The relevant question is of course, can you test that it’s true? I first heard of Dvali’s idea on a conference I attended last year in July. In his talk, Dvali spoke about possible observational evidence for the quantum hair due to modifications of orbits nearby the black hole. At least that’s my dim recollection almost a year later. He showed some preliminary results of this, but the paper hasn’t gotten published and the slides aren’t online. Instead, together with some collaborators, he published a paper arguing that the idea is compatible with the Hawking, Perry, Strominger proposal to solve the black hole information loss, which also relies on black hole hair. In November then, I heard another talk by Stefan Hofmann, who had also worked on some aspects of the idea that black holes are Bose-Einstein condensates. He told the audience that one might see a modification in the gravitational wave signal of black hole merger ringdowns. Which have since indeed been detected. Again though, there is no paper. So I am tentatively hopeful that we can look for evidence of this idea in the soon future, but so far there aren’t any predictions. I have an own proposal to add for observational consequences of this approach, which is to look at the scattering cross-section of the graviton condensate with photons in the wave-length regime of the horizon-size (ie radio-waves). I don’t have time to really work on this, but if you’re looking for one-year project in quantum gravity phenomenology, this one seems interesting. Dvali’s idea has some loose ends of course. Notably it isn’t clear how the condensate escapes collapse, at least it isn’t clear to me and not clear to anyone I talked to. The general argument is that for the condensate the semi-classical limit is a bad approximation, and thus the singularity theorems are rather meaningless. While that might be, it’s too vague for my comfort. The idea also seems superficially similar to the fuzzball proposal, and it would be good to know the relation or differences. After these words of caution, let me add that this link between condensed matter, quantum information, and black holes isn’t as crazy as it seems at first. In the last years, a lot of research has piled up that tightens the connections between these fields. 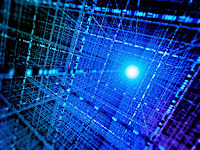 Indeed, a recent paper by Brown et al hypothesizes that black holes are not only the most efficient storage devices but indeed the fastest computers. It’s amazing just how much we have learned from a single solution to Einstein’s field equations, and not even a particularly difficult one. “Black hole physics” really should be a research field on its own right. 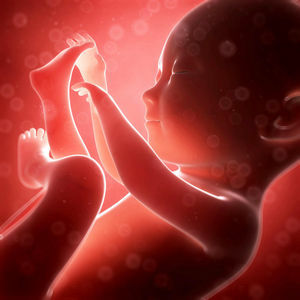 For Berta’s mother, the first kick already made clear that her daughter was extraordinary: “This wasn’t just any odd kick, it was a p-wave cross-correlation seismogram.” But this pregnancy exceeded even the most enthusiastic mother’s expectations. Still three months shy of her due date, fetus Berta just published her first paper in the renown mathematics journal “Reviews in Topology.” And it isn’t just any odd cohomological invariance that she has taken on, but one of the thorniest problems known to mathematicians.